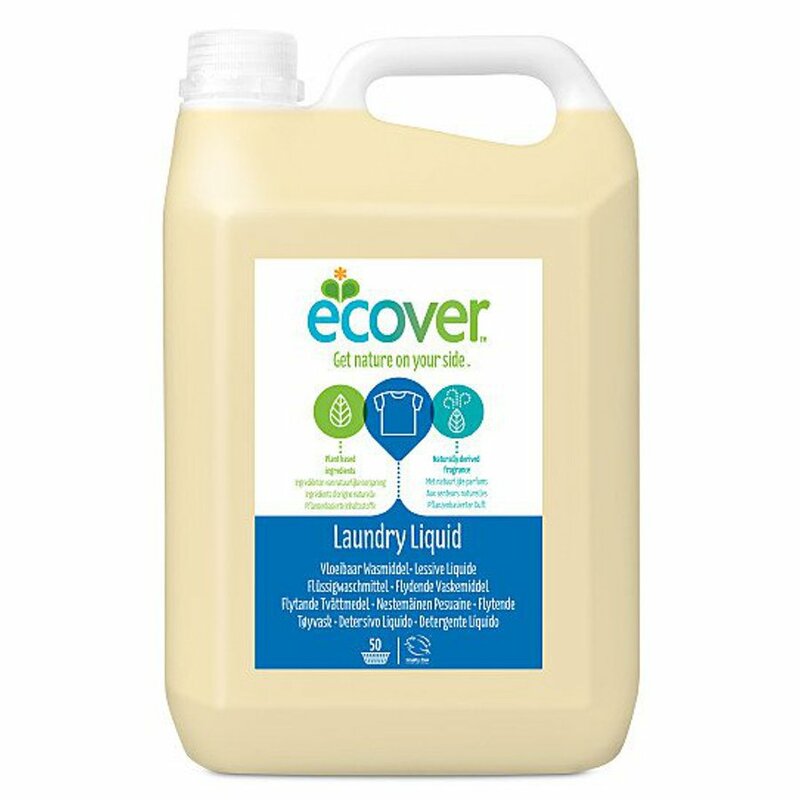 Ecover Non-bio Laundry Liquid promises excellent washing results even at low temperatures. Freshly perfumed using natural plant based ingredients, this optical brightener free Laundry Liquid is suitable for all white and colourfast laundry, with quick and complete biodegradability and minimum impact upon aquatic life. Also available in a 1.5 Litre bottle. Aqua, Ethoxylated Rapeseed Methyl Esters, Sodium Soap of coco and olein fatty acids, Sodium Citrate, Alcohol, Lauryl Polyglucose, Sodium Laurylsulfate, Citric Acid, Parfum, Linalool, Limonene, Citronellol, Trisodium Ethylenediamine Disuccinate. Use 2 1/3 capfuls per machine load of normally soiled laundry and medium hard water (4 to 5 kg dry washing). Place the dosage into the machine's dispenser tray. Increase the dose for heavily soiled laundry and for hard water. Decrease the dose for soft water. The Ecover Non-Bio Laundry Liquid - 5L - 50 Washes product ethics are indicated below. To learn more about these product ethics and to see related products, follow the links below. Laundry liquid yet to be used but expect it to do its job. Such a good liquid detergent, get a bit fed up with the plant like smell sometimes, but then I just add a different conditioner. 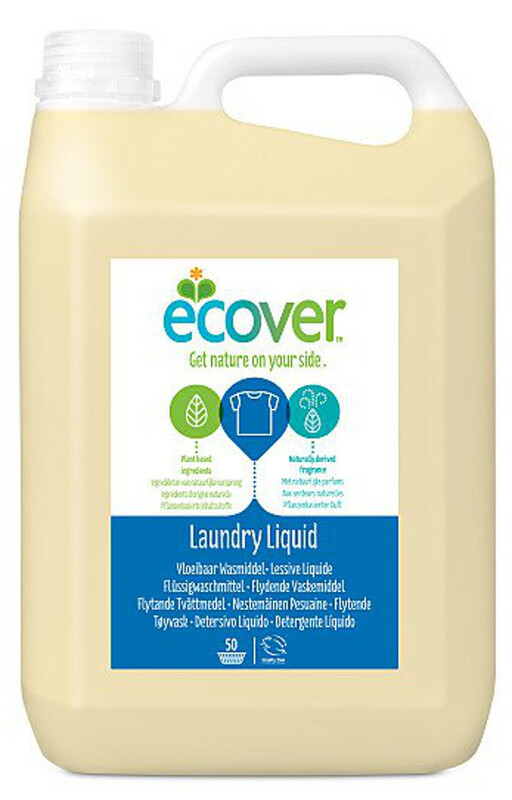 There are currently no questions to display about Ecover Non-Bio Laundry Liquid - 5L - 50 Washes.